I picked up The Hunger Games by Suzanne Collins this morning. I've heard great reviews for this novel but it never really compelled me to actually go to any lengths to get the book and read it. I have to say, I will definitely act faster when people recommend books to me after reading this little gem! 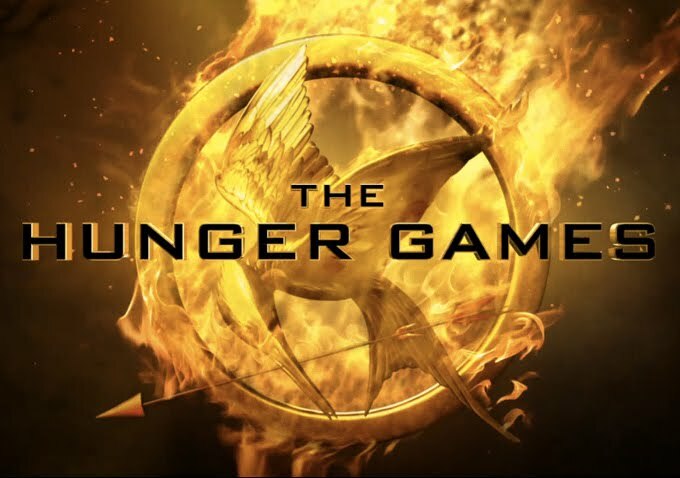 The Hunger Games is set in a nation called Panem which is governed by a wealthy Capitol and there are 12 districts (noticeably poorer) surrounding it. Because of a rebellion against the Capitol, the 13th district was wiped from existence and a punishment called the Hunger Games was brought about, to display the power of the Capitol over the 12 districts. Each year, a male and female aged 12-18 are chosen to participate in the Hunger Games as tribute. Katniss, out of love for her younger sister, volunteers to participate in the Hunger Games in place of her along side Peeta Mellark, the baker's son. For a hopeless, sappy romantic like me, this book really hit the spot when it came to balancing the romantic side of things and the plot of the book. I really do recommend this book to everyone! Pick it up before you go see the film at the cinema! Are there any other books (with some romance) that you would recommend?